The GAL represents the first substantial green efficiency goal for any manufacturing process to a given Active Pharmaceutical Ingredient (API). It has the distinct advantage over other traditional waste metrics of defining the expected environmental impact for producing any pharmaceutical agent by considering the complexity of its ideal synthesis route. By establishing this quantifiable descriptor, process greenness becomes measurable, and as such delivers manageable and credible green chemistry process goals. How to use GAL – It’s Easy! 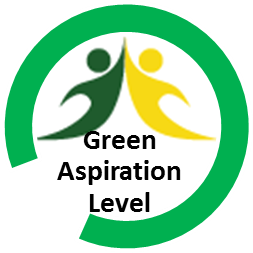 The Green Scorecard was developed by the IQ Green Chemistry Working Group to communicate the value-added impact of green chemistry improvements in a simple and effective way. Thus, it shows waste reduction in conjunction with process improvements, along with current status of process greenness vial traffic light gauge. To find out your score, download the calculator here. To use the calculator, simply input project name and phase, complexity, sEF, and cEF for one or more completed campaign (input fields highlighted in light green color). You will obtain the calculated RPG and rating. Relative Process Improvement (RPI), Relative Complexity Improvement (RCI), and (overall) Process Improvement (PI) are automatically calculated if two or more campaigns are inputted, one of which for an early development project for consistency. Feel free to include the Green Scorecard graphic in project presentations to highlight your team’s green process accomplishments. A process starting material is defined as commercially available from a major reputable chemical laboratory catalog company and its listed price at its largest offered quantity not to exceed US $100 per mol. Materials requiring bulk or custom quotes do not qualify as process starting material. Isolation of a product, following work-up, as a solution that can be stored --> counted as one step. 1. F. Roschangar, J. Colberg, P. J. Dunn, F. Gallou, J. Hayler, S. Koenig, M. E. Kopach, I. Mergelsberg, J. L. Tucker, R. A. Sheldon and C. H. Senanayake, A Deeper Shade of Green: Inspiring Sustainable Drug Manufacturing, Green Chem. 2017, 19, 281-285. 2. F. Roschangar, R. A. Sheldon and C. H. Senanayake, Overcoming barriers to green chemistry in the pharmaceutical industry – the Green Aspiration Level™ concept, Green Chem. 2015, 17, 752-768. 3. T. Gaich and P. S. Baran, Aiming for the Ideal Synthesis, J. Org. Chem. 2010, 75, 4657–4673.